The Harmony Hollow Wedding Bell is symbolic of marriage. 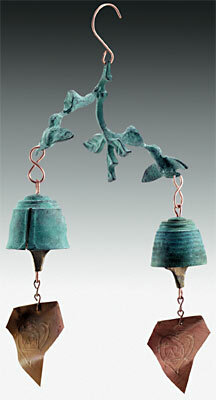 The two bells have different vibrations representing two distinct personalities. Each bell has its own unique tonal qualities that blend together with the other to create harmony. Click on the bells on the right for more info.